You can polish your car until you're blue in the face, but once you get that bright inspection light on it you’re going to notice some imperfections in your work. 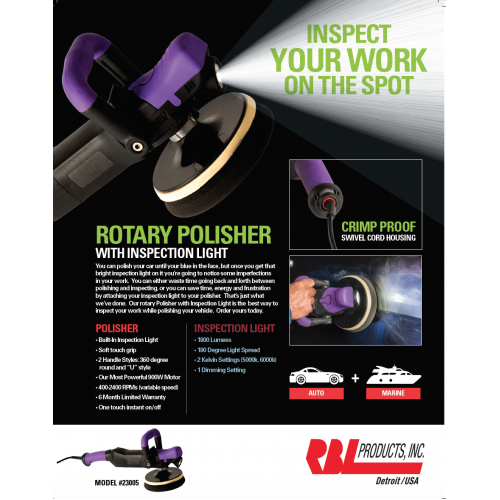 You can either waste time going back and forth between polishing and inspecting, or you can save time, energy and frustration by attaching your inspection light to your polisher. That’s just what we’ve done. 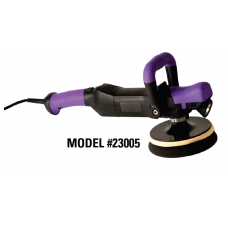 Our rotary Polisher with Inspection Light is the best way to inspect your work while polishing your vehicle. Order yours today. 6" Black Waffle PadFor use with Rotary PolishersSoft finishing pad..